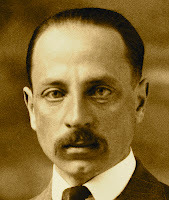 "II, 29" ["Let This Darkness Be a Bell Tower"] by Rainer Maria Rilke, from Sonnets to Orpheus, anthologized in In Praise of Mortality: Selections from Rainer Maria Rilke's Duino Elegies and Sonnets to Orpheus. Edited and translated from the original German by Joanna Macy and Anita Barrows. © Riverhead, 2005. Read the German text online on p. 134 of this source. Listen to translator Joanna Macy recite this poem and offer brief commentary, clipped from an interview with Krista Tippet, OnBeing.org, July 13, 2010. 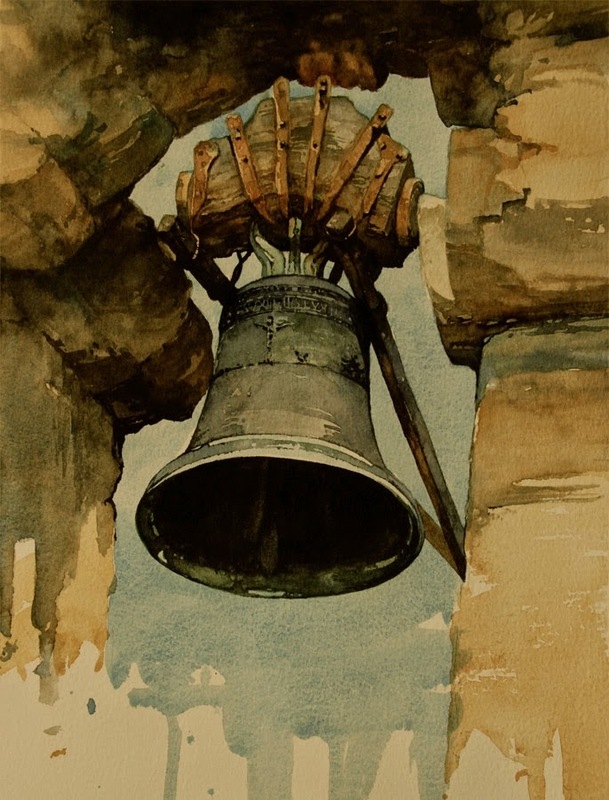 Art credit: "Church Bell Cortona," watercolor painting (8 of 40) by Cameron Lee Roberts (originally color).